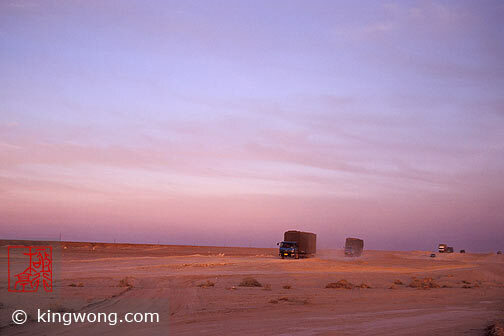 In this type road and climate, I don't see how the trucks can be any better than camels. The vehicles move no faster. But I guess the humans got more comfortable now that they have less direct exposure to the elements.